Based on originally developed conductors ,insulation materials and irradiated cross-linked technology,we have a variety of products with excellent strength ,flexibility ,heat resistance and stable electrical characteristics. These wires are widely used in home appliances, electric devices, automotive and data transmission equipment. ARX-9 insulation material is irradiated cross-linked fluoroelastomer which has heat resistance of 200°C range. 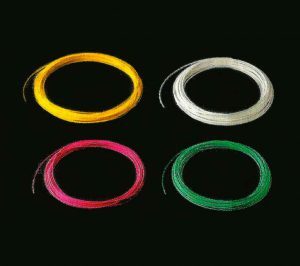 Compared with PTFE and FEP insulated wire, ARX-9 has excellent flexibility. This wire is suitable for wiring in high temperature areas, such as engine compartments, headlights and automotive transmissions. 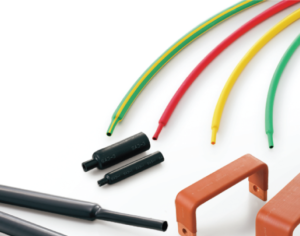 SUMI-CARD®is a flat cable that enables easy joining to connectors. 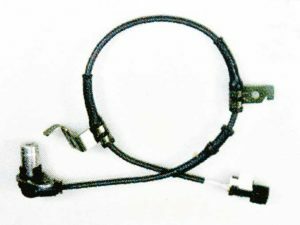 Using a flat square conductor , this flat cable reduces its thickness and allows multi-wiring assembly. We offer a wide variety of SUM-CARD®, such as halogen free and terminal-processed types. SUMITUBEᵀᴹ is a heat-shrinkable tube ( that shrinks in the radial direction on when heated) that takes advantage of the shape-memory effect of plastics enhanced by electron beam irradiation. Made mainly from raw materials such as polyolefin, fluorinated polymer, or thermoplastic elastomer, SUMITUBE is widely used in various industrial fields for bundling, thermal protection and insulation protection of electrical wires and harnesses, as well as for other purposes. 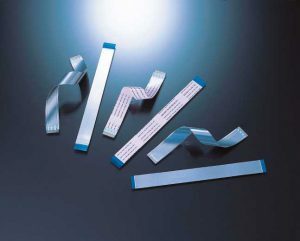 The flexible printed circuit is a wiring material made by printing electrical circuits on an extremely thin insulated film. 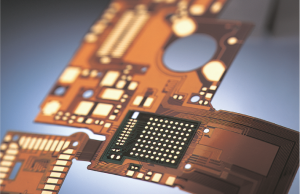 Owing to its outstanding features, such as light weight, high heat resistance, and superior stretching property, such a printed circuit provides flexibility in electric circuit design. This product helps downsize and sophisticate digital apparatuses including mobile phones, tablets, game consoles and hard disk drives. 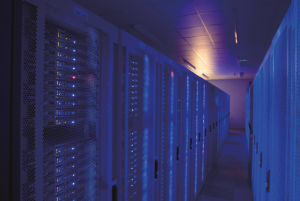 To meet the growing demand for higher speed and density of Wiring between the Data Center apparatus, our DAC cable realized high-speed transmission + small diameter, flexibility. This product is useful for improving mounting density and efficiency in wiring, reducing weight. © 2019 Sumitomo Electric Asia Pacific Pte. Ltd.